If you are waiting for a laptop that combines AMD Ryzen and NVIDIA GTX 1050 for good performance, then your waiting has ended with the release of the Asus VivoBook Pro F570. This is the first Asus laptop to use a combination of AMD Ryzen and GPU from NVIDIA. On paper, the specifications look tough and promise good performance, both for light, medium, or heavy daily computing – even the gaming performance. Until now, there are not many Asus laptops that use AMD Ryzen – still around 20 percent. In fact, the popularity of AMD Ryzen which in various tests surpassed the performance of processors made by Intel from the same class, is high. Will lose a lot if Asus does not add to the ranks of laptops with AMD Ryzen as the processor. Asus VivoBook Pro F570 is the first laptop to use AMD Ryzen and GPU from NVIDIA. Before there were competitors who presented products with the same specifications, Asus tried to hit the market with this VivoBook F570. You can get another information like this on best buy laptop guide. In addition, you can also read other laptop reviews on the website. You can even find the best offer for the price of laptops sold on the market. In Indonesia, there will be two variants of the Asus VivoBook F570. The most distinguishing from these two versions is the processor that is carried. The first uses AMD Ryzen 5 (2500U) and the second uses AMD Ryzen 7 (2700U). Asus VivoBook F570 version of AMD Ryzen 5 is accompanied by SDRAM with 8GB DDR4 2,400 MHz capacity, and storage media in the form of HDD of 1TB. If the VivoBook F570 version of AMD Ryzen 7, comes with a more qualified specification. If the RAM capacity is the same, in the form of 8GB DDR4 2,400 MHz SDRAM. What’s different is the storage media. The Ryzen 7 version carries a 256GB SSD plus a 1TB HDD. With the addition of the 256GB SSD, the price of the Ryzen 7 version of the VivoBook F570 will differ significantly compared to this sibling. Both of these variants carry the same screen, Full HD resolution 1920 x 1080 pixels on a 15.6 inch screen span. It’s convenient that the screen is relieved with this resolution. For the graphics sector, NVIDIA GeForce GTX 1050 with a capacity of 4GB GDDR5 VRAM can be a source of energy. While in terms of connectivity, this premium laptop has 1 USB Type C port, USB 3.1, USB 2.0, 3.5 mm audio jack, HDMI and card reader. Pretty complete to make it easier for you to connect with various devices. The battery is also quite large, with a capacity of 48 Wh 3 cell. Currently, you can already buy it in various online and offline stores. What is certain is JD.id. But surely it will soon be available in many marketplaces. This kind of tough laptop is definitely a lot of people looking for. 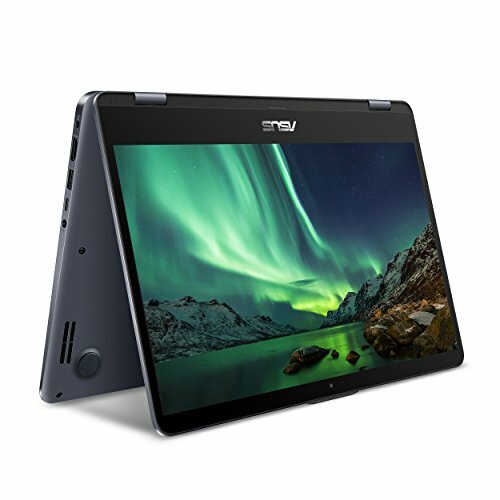 Similar to the Asus Zenbook 13 UX331UAL ultrabook which, although the price is pretty good, still, it must be half scrambled if you want to buy. Want a really good laptop computers deal for under $880 price? Add the hp i7 6700hq quad core processor touchscreen to your short list. This is one of an excellent traditional laptop choices with newest 6th gen skylake intel core i7-6700hq 2.60 ghz with turbo boost technology up to 3.50 ghz intel hd graphics 530 with shared graphics memory. This hp pavilion 15.6″ flagship laptop 6th gen skylake intel i7-6700hq quad-core processor(6m cache up to 3.5 ghz) fhd ips touchscreen 8gb ddr3 1tb hdd dvd hdmi 802.11ac windows 10 suitable for someone who need traditional laptop with newest 6th gen skylake intel core i7-6700hq 2.60 ghz with turbo boost technology up to 3.50 ghz intel hd graphics 530 with shared graphics memory. 8gb ddr3l 1600mhz sdram(1 dimm) 1tb hard drive tray load dvd drive (reads and writes to dvd/cd) 2 usb 3.0 1 usb 2.0. 15.6 inch full hd ips touchscreen (1920 x 1080) 10-finger multi-touch support hdmi 720p hd webcam. gigabit 802.11ac wifi 1g lan ethernet bluetooth multi-format digital media card reader. windows 10 home 64 b&o play with 2 speakers. Reviews by person who have purchased this hp i7 6700hq quad core processor touchscreen are useful evidence to make verdicts. It will comfortable and better to pick this laptop computer after get a chance to know how real purchaser felt about ordering this traditional laptops. 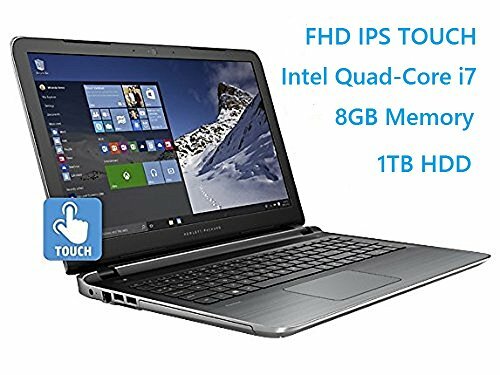 At the time of writing this hp i7 6700hq quad core processor touchscreen review, there were more than 313 reviews on Amazon. Most of the reviews were really satisfied and we give rating 3.7 from 5 for this hp pavilion 15.6″ flagship laptop 6th gen skylake intel i7-6700hq quad-core processor(6m cache up to 3.5 ghz) fhd ips touchscreen 8gb ddr3 1tb hdd dvd hdmi 802.11ac windows 10. The tp510ua rh31t lightweight touchscreen processor fingerprint has nice 2 in 1 laptop features and at under $660 price, its one of a particular laptop computers deal now a day. It is powerful & efficient intel core i3-7100u 2.4ghz; 1tb hdd 6gb ddr4 ram and includes asus pen stylus. As a particular laptop computers, specs: intel core i3-7100u processor 2.4ghz (3m cache); 15.6″ fhd 1920×1080 wide view touch display; 6gb ddr4 ram; 1tb sata hdd; 1x hdmi 1.4; 1x usb 3.1 type-c (gen1); 2x usb 3.0; 1x usb 2.0; 1x headphone-out & audio-in combo jack; 802.11ac dual-band wi-fi; bluetooth 4.1; sdxc card reader; illuminated chicklet keyboard; fingerprint reader; 42whr battery; stylus pen. 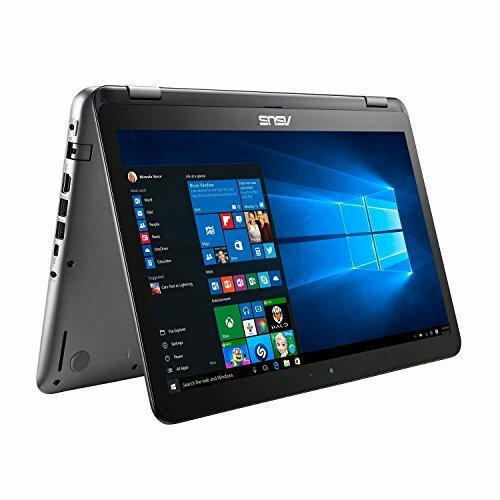 This asus vivobook flip 15 tp510ua-rh31t 15.6â thin and lightweight 2-in-1 full hd touchscreen laptop intel core i3-7100u 2.4ghz processor 6gb ddr4 ram 1tb hddwindows 10 homestylusfingerprint scanner suitable for anyone who are looking for 2 in 1 laptop with powerful & efficient intel core i3-7100u 2.4ghz; 1tb hdd 6gb ddr4 ram and includes asus pen stylus. 15.6″ full hd wide view touch display with up to 178â° viewing angle optimized for entertainment. 14″ wide 0.7″ thin with 0.3″ bezel for a stunning 79.4% screen-to-body ratio; brushed aluminum chassis and lightweight at only 4.1 pounds. portable and convertible 2-in-1 laptop with four viewing modes: tablet tent stand and laptop. comprehensive connections including fingerprint sensor usb 3.1 type-c (gen1) usb 3.0 usb 2.0 sd card reader & hdmi; lightning-fast dual band 802.11ac wi-fi keeps you connected. Reviews by person who have picked this tp510ua rh31t lightweight touchscreen processor fingerprint are useful tip to make verdicts. 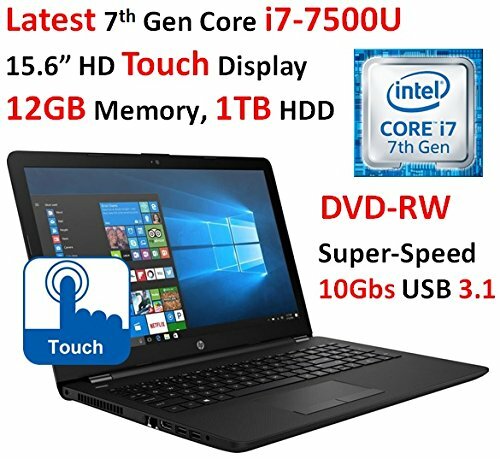 It will comfortable and better to purchase this laptop computer after get a chance to know how real purchaser felt about ordering this 2 in 1 laptops. At the time of writing this tp510ua rh31t lightweight touchscreen processor fingerprint review, there were no less than one review on this site. In general the review was extremely satisfied and we give rating 5 from 5 for this asus vivobook flip 15 tp510ua-rh31t 15.6â thin and lightweight 2-in-1 full hd touchscreen laptop intel core i3-7100u 2.4ghz processor 6gb ddr4 ram 1tb hddwindows 10 homestylusfingerprint scanner. The touch screen i5 7200u geforce 802 11ac blutooth is a nice model traditional laptop for under $740 price. Its is a good laptop computers choice for people who want 7th generation intel core i5-7200u dual-core processor 2.5 ghz (max boost speed up to 3.1ghz 3mb cache) nvidia geforce gtx 940mx graphics 2gb video graphics. 1920×1080 native resolution. touch tap glide and make the most of windows 10. led backlight. offers versatile functionality with laptop audience tabletop presentation and tablet modes. supports sd sdhc and sdxc memory card formats. This asus 2-in-1 15.6″ fhd touch-screen laptop intel core i5-7200u 8gb ddr4 memory nvidia geforce gtx 940mx 2gb 1tb hdd 128gb ssd hybrid 802.11ac blutooth hdmi webcam windows 10 fit for peoples who are searching for traditional laptop with 7th generation intel core i5-7200u dual-core processor 2.5 ghz (max boost speed up to 3.1ghz 3mb cache) nvidia geforce gtx 940mx graphics 2gb video graphics. 15.6-inch fhd ips 10-point multitouch screen full hd 1920×1080 resolution widescreen led convertible 360â° flip-and-fold design. 8 gb ddr4 sdram 2133 mhz 1tb hard drive and 128gb solid state drive hybrid hard drive chiclet keyboard bang & olufsen icepower audio no optical drive. 1 usb type-c port 2 usb 3.0 1 usb 2.0. 1 hdmi bluetooth 802.11ac media reader headphone/microphone combo jack. windows 10 home 2 cell battery grey. At the time of uploading this touch screen i5 7200u geforce 802 11ac blutooth review, there were more than 7 reviews on Amazon. Some of the reviews were really favorable and we give rating 3.5 from 5 for this asus 2-in-1 15.6″ fhd touch-screen laptop intel core i5-7200u 8gb ddr4 memory nvidia geforce gtx 940mx 2gb 1tb hdd 128gb ssd hybrid 802.11ac blutooth hdmi webcam windows 10. Reviews by people who have used or already picked this touch screen i5 7200u geforce 802 11ac blutooth are meaningful output to make conclusions. It will more comfortable and better to order this laptop computer after get to be able to read how real consumers felt about buying this traditional laptops.